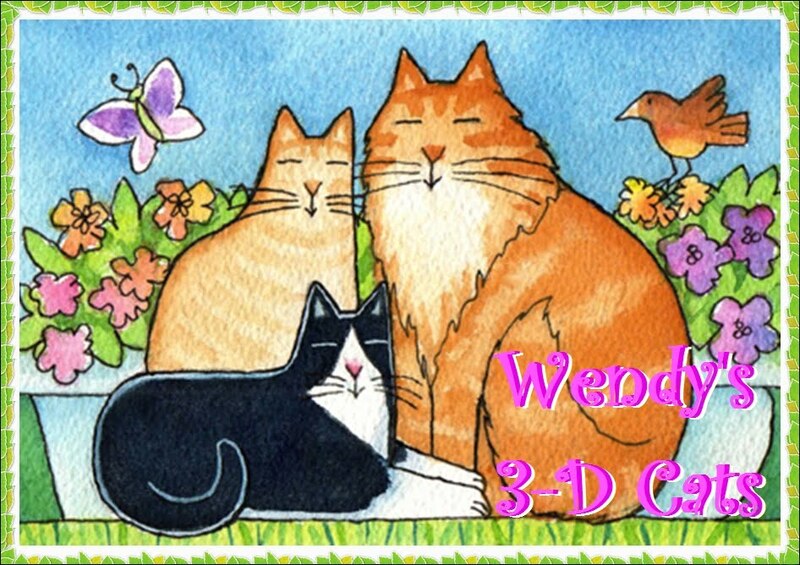 Wendy's 3-D Cats: 3-D CATS IN HATS ON FRIDAY! 3-D CATS IN HATS ON FRIDAY! The 3-Ds are wrapping up the week by wearing their current choice of hat and accessories. 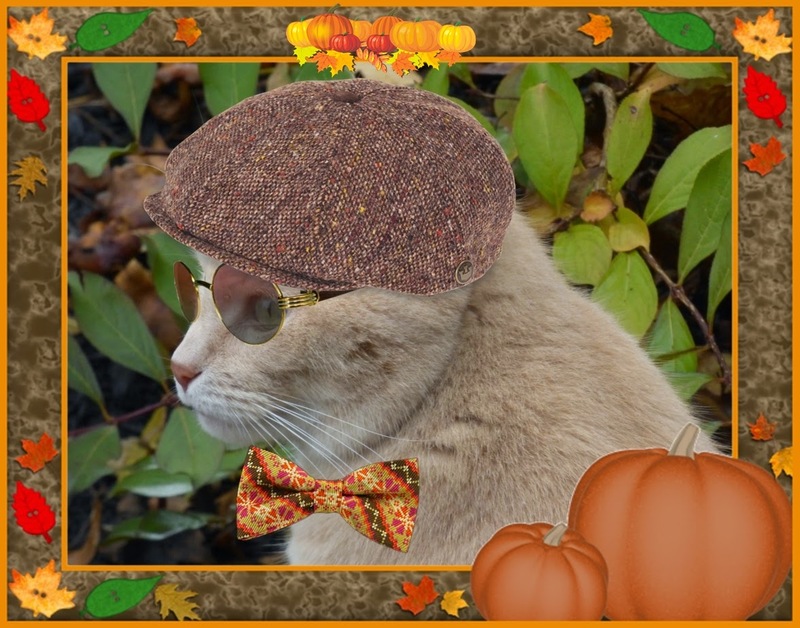 Dante, ever-the-outdoors PURRson, is sporting a tan, red and navy plaid trilby hat with a punchy navy and red bowtie. He loves being in the woods, even if that wood is only the fence in our back yard. Looking into his crystal ball, he foresees many, many more leaves falling (which isn't too surprising given the time of year). 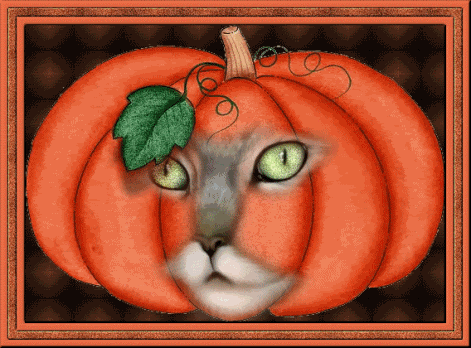 "Dey doan call it FALL fur nuttin'!" declares he. 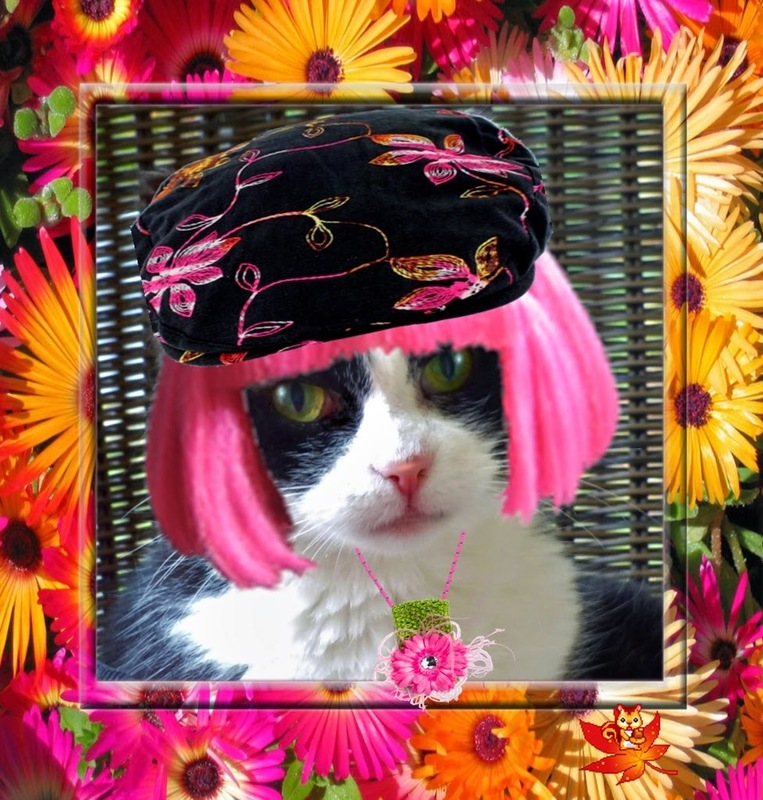 Domino has donned a bright pink wig to accentuate the bright hues in her black velvet floral flatcap. Here she is reminiscent of the '60s and '70s with her flower power and psychedelic colours. Even her squirrel friends have joined in on the action. "We jus' wanna help yoo get PEACE of mind. "I'm happy ta give yoo a PEACE of MY mine (my mind, dat is! 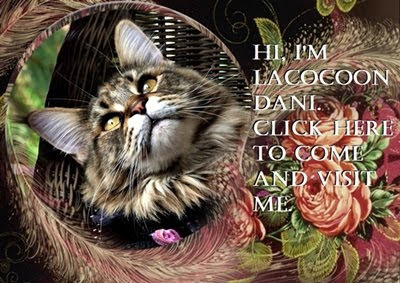 )", says Domino forthrightly as always. 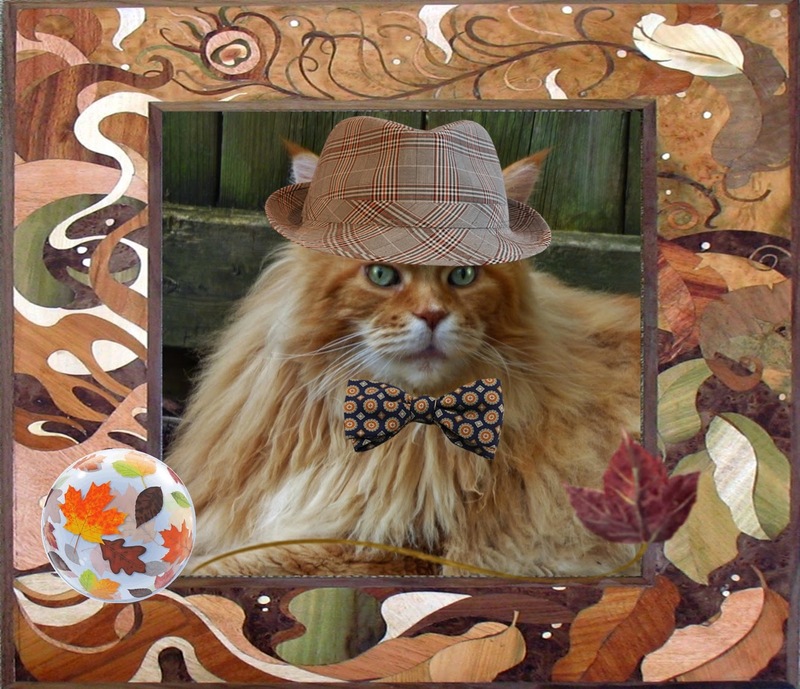 Dylan is wearing a brown tweed CATSby hat and a bowtie in coordinating tones. He's wearing sunglasses too, befitting his shady character. "Sum peeple pumps iron", says he. "But, I likes ta pump KIN -- yoo can get a lot more outta dem dat way!" THE 3-DS TAKE A GANDER AT THOSE CANADIAN GEESE!